Unique design allows user to adjust their cushion with no pump, for the maximum comfort. The air bladder, over a foam base, fills or deflates with a simple twist of a valve. Provides the stability of foam, with the adjustability of air. This cushion is designed to assist in pressure reduction for lower risk patients. 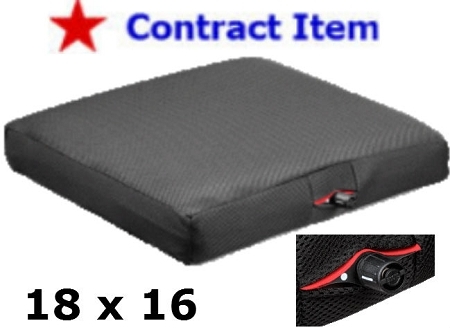 Serenity Air Wheelchair Cushion- FSS ITEM 20" x 18 "